I'm hoping that prompt removal will mean the disease doesn't spread to my other basil plants, which are in a sunnier and airier location. Plant crowding is a big factor in susceptibility to downy mildew (along with wet weather), and my affected plants were a bit close to my peppers and my neighbor's encroaching tomatoes. 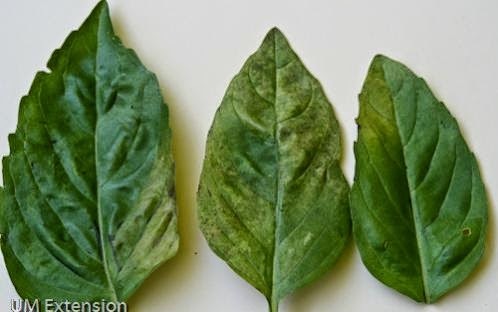 We had downy mildew on basil in the demo garden a couple of years ago, and I noted the same crowding issue then. Also, it seemed that other types of basil - lemon, Thai, purple types - were less susceptible than Italian. Of course that's the kind I want most of!